Just as in any pet, cat may experience weak, moderate or severe pain. The causes of pain in cats can be accidental injuries, surgical procedures or chronic diseases (including arthritis, cancer, and pancreatitis. For fast relief of postoperative pain in cats, powerful analgesics available for sale by prescription are used. To control mild to moderate pain caused by diseases or injuries, over the counter pain meds for cats containing only natural active components can be prescribed. The advantage of natural pain meds for cats is that they can be used as a long-term control of chronic pain at home. 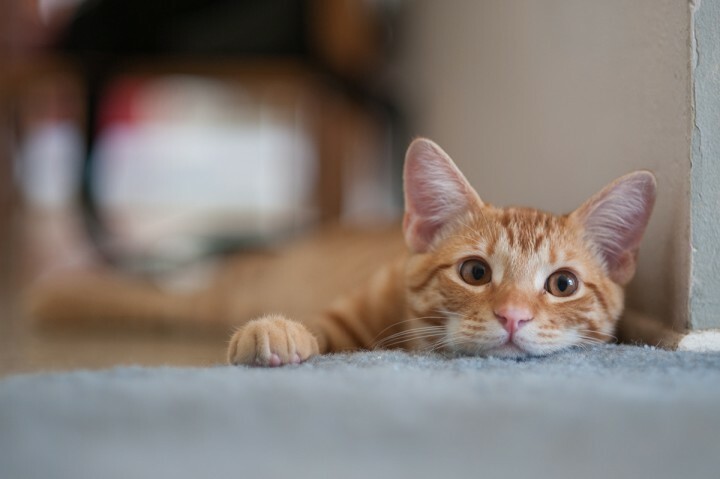 The disadvantage of OTC pain meds for cats is that they do not provide a significant analgesic effect after spaying, declawing or other surgical procedures. Most of pain meds for cats used after surgery are produced in solution for injections. When producing injectable analgesics for cats, various active ingredients can be used, for instance Buprenorphine, Butorphanol, Dexmedetomidine, Meloxicam, Oxymorphone, Triflupromazine, Xylazine. Injectable pain meds for cats are sold at veterinary pharmacies under different trademarks, such as AnaSed, Butorphine, Cervizine, Chanazine, Dexdomitor, Metacam, Numorphan, Rompun, Simbadol, Torbugesic-SA, Vetame. Some of the listed pain meds have an analgesic, sedative and anesthetic effects. Therefore, they can be used before surgery for local or general anesthesia. Pain meds for cats after spaying or other surgical procedures should not be used to facilitate arthritis pain. To reduce arthritis pain, anti-inflammatory drugs that are able to eliminate the cause of pain in the joints and connective tissues should be used. It should be noted that most pain meds for cats and dogs contain the same analgesic agents. The daily dose of analgesic depends on the age and weight of cats and dogs. Therefore, before to give a dog pain meds intended for kitten or adult cat, carefully learn the leaflet. Some analgesics can be used to relief pain not only in veterinary clinic, but also at home. Pain meds for reducing pain in cats at home are manufactured in the form of topical powders and ointments, as well as in tablets and capsules for oral use. For example, to reduce the pain caused by minor cuts and wounds on the skin, the cat can be prescribed with topical Neo-Predef with Tetracaine powder (from Zoetis). In cases if analgesic therapy in the postoperative period should be conducted at home, cats can be prescribed with Robenacoxib tablets. At the US pharmacies, Robenacoxib pain med for cats is sold under the brand Onsior (by Novartis). Oral Onsior (Robenacoxib) analgesic can be prescribed only to kittens and cats older than 4 months weighing more than 2.5 kg. If you want to buy pain meds for cats at the lowest price, learn from a veterinarian under what brand names cheap, oral or injectable analgesics for cats are sold in your city. If you do not have time to look for analgesics at your city pharmacies, you can buy cheap pain meds for cats online at any convenient time. The advantage of online pharmacies is that they provide the opportunity to buy effective and safe pain meds for cats without a prescription.